Mr Bower, who has provided medicinal cannabis to hundreds of families across Australia for chronic pain relief and terminal illness management, was arrested and charged with cultivating prohibited plant, dealing in the proceeds of crime, possessing a prohibited drug and supplying prohibited drug after police executed a raid on a property near Kempsey last year. He pleaded guilty to the offences. Medicinal cannabis will be easier to access in Queensland with new laws passing Parliament but people should be able to grow their own, a Greens MP argues. In the eyes of the government Dannielle Luttrell is a criminal. Why? Because she openly admits to growing her own cannabis to make CBD oil. Ms Luttrell told nine.com.au she uses the product to treat her permanently disabled son, 10, who had been suffering up to 60 seizures each day before she started treating him with oil containing CBD and THC. A few years ago, a 68-year-old Bunbury woman (who wished to remain anonymous) would have been terrified at the thought of consuming cannabis. Now, she can’t imagine life without it. 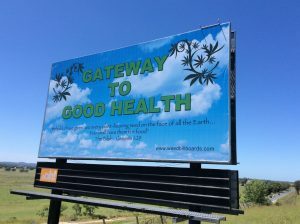 Growing cannabis for medicinal use has great potential in Australia, but one of the biggest stumbling blocks is the stigma that still surrounds the plant. That’s according to Jamaica Medical Cannabis Corporation chief executive Diane Scott, who spoke at last week’s Global Food Forum in Sydney. As the world slowly warms to medicinal cannabis, much has been made of its proposed health benefits. But have we over-estimated what pot can do for the sick? In Australia’s alternative lifestyle capital, bodies are being buried and burnt in brightly-decorated hemp coffins. 50,000 cannabis convictions are about to be permanently wiped from the criminal records of LA residents for free and automatically, said LA district attorney Jackie Lacey. The county is now working with the non-profit tech organization Code for America to employ computer algorithms that can automatically identify and expunge the records of qualifying individuals. The first Washington state cannabis canopy report shows that a number of Washington licensees have underdeveloped cannabis cultivation operations compared to their canopy allotment from the state. Maryland cannabis operator Curio Wellness has withdrawn the lawsuit filed late last month against the state’s Medical Cannabis Commission over its plan to issue new cannabis licenses to minority-owned companies. CBD comes from marijuana or hemp plants but does not cause a high. People have been drawn to the extract because of its supposed health effects. The Food and Drug Administration says the May 31 meeting will discuss the science, manufacturing and sale of CBD as it explores regulation of the ingredient. As activists sue and Health Ministry delays reform implementation, thousands of patients of largest provider are stranded without treatment. In 2018, medical cannabis in Portugal is legal when prescribed by a doctor, dispensed in a pharmacy, and licensed by regulatory body INFARMED but – to the disappointment of many – stopped short of allowing patients to cultivate their own supply. The law – which saw overwhelming support from all parliamentary parties bar the centre-right Popular Party, who abstained – came close to 20 years after Portugal made the radical decision to decriminalise all drugs and has been welcomed by many in the country, who have noted Portugal’s ideal climate for growing cannabis. Thailand is performing an astonishing U-turn in its policy on drugs. Seventeen years ago, the Thai government launched a vicious war against narcotics that left thousands dead. Today it has legalized the use of marijuana for medical purposes, and appears to be seriously considering legalizing cannabis cultivation for recreational use. But things are changing slowly and discreetly. The life a three-year-old Irish girl with severe epilepsy has been “saved” by a private medicinal cannabis company who have given her free access to treatment not provided by the NHS, according to her father. Crispin Blunt, chairman of the All-Party Parliamentary Group for Drug Policy Reform, is urging the Government to control sales as he claims that 50 years of “prohibition” has failed “lamentably”. The German importer, Farmako, has just sealed the first non-Canadian or Dutch import deal into the country- from a Polish producer with Israeli connections. Seedo Corp., a technology giant providing one of the world’s fully-automated and controlled indoor growing machines for organic cannabis, has announced that it will be partnering with Kibbutz Dan in Northern Israel to establish the first fully automated, commercial-scale, pesticide-free containerized cannabis farm in Israel. In the case of cannabis, Colombian producers simply cultivate the plant, harvest its flowers and elaborate base extracts with them. It’s only after they’re shipped abroad that the extracts are transformed into lucrative, value-added products that we Colombians will then have to import at prohibitively high costs. 1. Allow homegrow. Let consumers grow a limited number of their own plants at home and gift a limited amount to other adults. This serves as a check on monopolies, delays to store openings, and more. A US congressional committee voted on Thursday to approve legislation aimed at increasing marijuana businesses’ access to banks. The new law authorizes the state treasurer to select financial institutions who will provide banking services via a competitive bidding process to state-legal cannabis companies. To succeed in capitalism, you need capital. Unfortunately, women and people of color historically don’t have equal access to large sums of money. The first vending machine for legal cannabis products in Germany has been installed in our neighbouring city, Trier. Luxembourg already has several. New study looks at the interaction among six common cannabis terpenes and THC. On the face of it, coffee doesn’t have too much in common with cannabis – one jolts you awake, the other is known as ‘dope’ for a reason. But the two substances actually affect the same neurotransmitters, according to a new study from Northwestern Medicine. The enactment of medical cannabis access laws is associated with better reported health outcomes among older Americans and greater labor participation, according to data published in The Journal of Policy Analysis and Management. Many strains have been developed out of the cherished Afghan region, all carrying with them that signature hash flavor. These strains all derive from one region in Afghanistan and share the unique quality of being landrace strains.